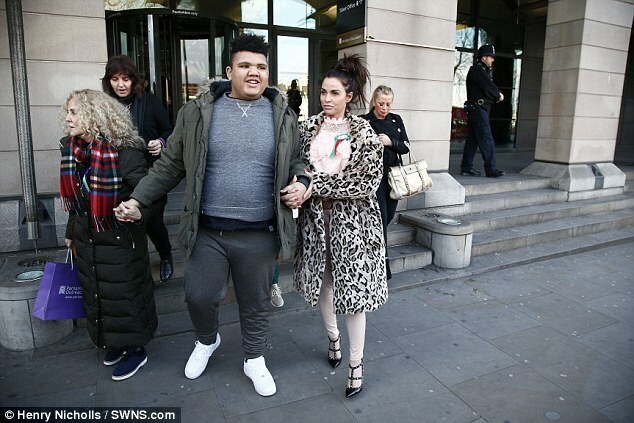 Katie Price has implored MPs to make trolling a criminal offence, telling them that her son Harvey, who has multiple disabilities, has been a repeated victim of “horrific” online abuse. Giving evidence to parliament’s petitions committee, the former model called for a register to “name and shame” offenders and for a change in the law to clamp down on online offenders. The 39-year-old, who has five children, started a petition in 2017 to make online abuse a specific criminal offence, which attracted more than 220,000 signatures. She has regularly condemned abusive posts targeting Harvey, 15, who is blind and has autism, ADHD and Prader-Willi syndrome, a genetic disorder affecting appetite and muscle development. Harvey was targeted over the colour of his skin, his disabilities and his size, she said, with people posting mocked-up videos and photos of him. Two people had been arrested, but no action taken against them because the police’s hands were tied, she argued. “It’s got worse and worse. You name it, Harvey’s got it,” she said. Her plea came as Theresa May, marking the centenary of the Representation of the People Act, warned of increasing levels of abuse and intimidation in public life, and the “coarsening and toxifying” of political debate. Price, who appeared before the committee with her mother, Amy Price, told MPs that when she reported the abusers to police, she was told there was little they could do, and she believed social media providers should do more to track down offenders and prevent abuse. She said her media profile meant she was used to receiving abuse. “But at least I’ve got a voice to speak. Harvey doesn’t.” She added: “I’m his voice. I’m here to protect him”. She said she was glad she was in the public eye because that had helped get so many signatures for her petition, “whatever people think of me”, she said. “I don’t understand what goes through their minds to make people want to do it,” she said. She had complained to Channel 4 in the past, she said, over distasteful comments about Harvey by the comedian Frankie Boyle. She said that a change in the law would protect everyone, not just those with disabilities, and believed naming and shaming offenders on a register would act as a deterrent and would, ultimately stop harassment and even deaths following online abuse. The committee is examining the impact of online abuse, especially on people with disabilities, and who is responsible for protecting people. It will look at whether technology companies are doing enough and if the law should be changed to provide better protection. MPs will also hear evidence on how online abuse should be defined and the line between legitimate freedom of expression. The Law Commission said it expected an independent review of the law to be published within six months.